Check out all the Krazy deals we found for February 2019.
and what better time to buy your love a beautiful new trinket, or flowers. There are so many awesome deals to be found so don’t forget to treat you as well! February is the perfect time to stock up on winter apparel. Many stores are getting ready for spring and are still offering those deep discounts on their winter apparel and winter sporting accessories. This year Presidents Day is Monday, February 18th and is the traditional time to catch some fantastic deals on home goods and apparel. Many stores are having sales on sheets, towels, pots and pans, small appliances and of course heaters and electric fireplaces as well. Let us not forget, the Super Bowl is coming up. It would be the perfect time to score some deals on a new TV! There are many deals to be found on the TV of your dreams. And finally, the dreaded tax season is upon us. There are many deals to be found on DIY software. Please be sure to pay attention to the Good Through Dates that have been included with each deal posted. If no Good Through Date is included that means this is an ongoing promotion with no end date listed. Some of these dates and deals aren’t here yet and are coming up this month or depending on when you’re reading this, those dates may have already passed… Here are some of the deals we have found for February 2019. So let the deal hunting begin!! 3. Take 20% off 1,000's of Markdowns with code BIG. Shop now at Macys.com! Valid 2/20-2/24. 3. FREE* Shipping To a Dollar Tree Store! Pick It Up At Over 5,000 Locations! *Restricitons may apply. 3. Save Big with Spring Savings! Save up to $27 off our fees on flights with promo code SPRING27. Book Now! 1. Save up to 35%* on all hotels and an additional $10** Off using Promo Code USAHOTEL. Book Now! 1. Get an exclusive range of dental products like flavored toothpastes, finger brush, two sided brush and oral rinse for canines and felines. 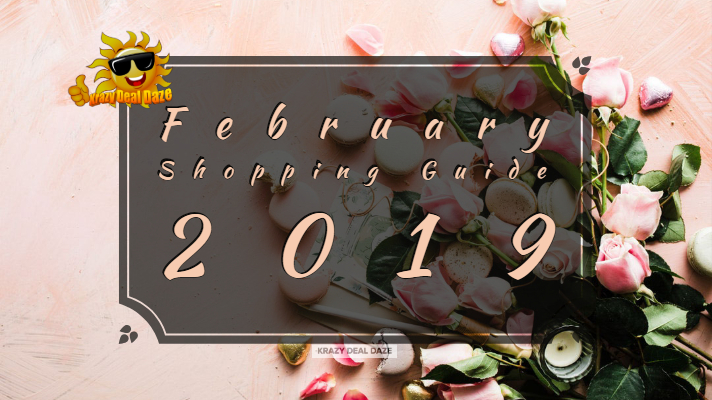 Thank you for stopping by and checking out our February Shopping Guide! Which Krazy Deal are you most excited about this month? Be sure to let us know in the comments below! You're a hero! These promo codes will help me save a lot of money. Thanks! Wow. That’s some serious effort finding all those offers! Thanks for saving us time and money! Great ideas! I love that there are so many deals this time of year! The savings will really help! Super overview of all the upcoming sales! Thank you! Such a great idea putting a load of promo codes in one place for people to just come and check out! Thanks for sharing! 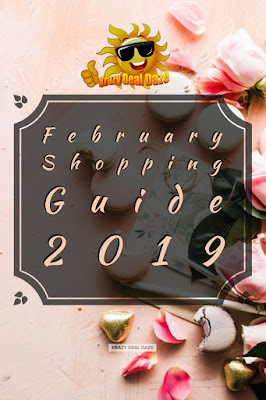 What a great post to talk about deals and shopping ideas for this month. I share this to mmy friends in the US!